How does it feels to be indulging in ice cream that screams Spring? It feels awesome I’ll tell you that! Not only it is a very lovely way to someone’s tummy, but that floral aroma that floats around your home also stays lingering on your palate. 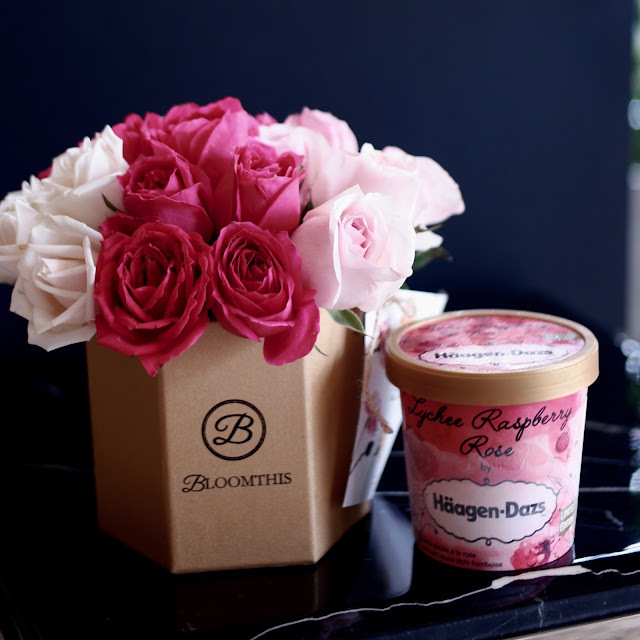 The Little Gardens Collection adds on to the Haagen Dazs renowned line up of ice cream flavors by introducing beautiful and aromatic inspirations from flowers this summer. More about the ice cream; Haagen Dazs has introduced two limited edition flavors inspired by Spring which induces aromatic floral notes with tinges of sweet fruit ending up with a unique ice cream flavor. Not only the ice cream tubs are covered with beautiful watercolor like art, when you open that tub up, you will be immense in the beautiful floral color ice cream with it’s unique floral aroma which just makes you want to dive in! This limited edition ice cream is selling like hot cakes, and is very wanted for gifts for that special someone. Be it your partner, your parents, or even your siblings! The Little Gardens Collection of fresh fruit flavors will be enhanced and complemented by delicate floral notes. The Lychee Raspberry Rose and Apricot Lavender redefines what you thought an ice-cream flavor could be and are available in a unique floral design pint packaging. You know you are in for a treat when Haagen Dazs scouts every corner of the world to source the best quality ingredients and the limited edition flavors totally highlights Haagen Dazs core philosophy of using the best ingredients to produce their signature dense, rich and indulgent ice cream. This is an intoxicating blend of rose, lychee and raspberry flavors. It’s not too sweet and it smells of a wonderful rose garden. Inspired by the sweet allure of the world-famous Isphan Macaron, this delicate dessert is crafted with rose extract from Turkish roses, juicy handpicked lychees from Taiwan and the sweetest raspberries to create this wonderful mixture. 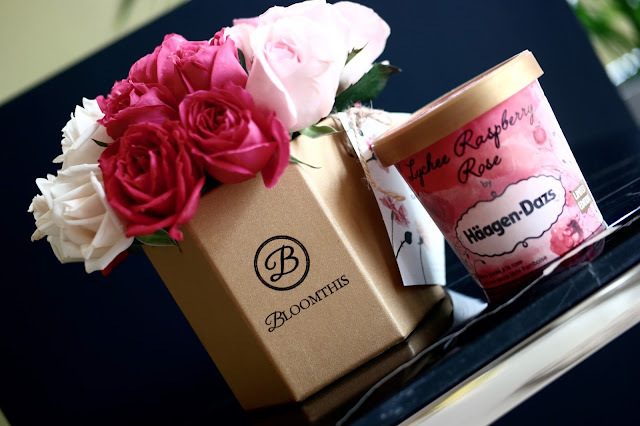 A yummy fragrant ice cream with the perfect balance of rose and sweet fruit that will exhilarate the palette. Made with aromatic lavender from the Mediterranean coast and plump apricots from Morocco and France, this is a burst of aromatic freshness that relaxes the senses. The lavender entices the palette while a thick apricot sauce and generous scattering of apricot pieces bring a tartness that foes on to tingle the tongue, leaving you wanting more! (The one in orange on the left in pic above). Ice cream connoisuers around the world recognizes the distinctive Haagen Dazs brand logo as the icon of luxury when it comes to ice creams. From its beginning, product quality has been Haagen Dazs most important criteria, making the brand synonymous with its fine craftsmanship and quality of ingredients. Reuben Mattus, the founder, has experimented and tested for decades until he perfected the ice cream recipe in 1961. Since then, Haagen Dazs has maintained its timeless tradition of producing only the best quality ice cream and desserts, offering us an exceptional eating experience! What I love the most is the ‘melt in your mouth’ texture Haagen Dazs ice cream delivers. It is so creamy but so smooth in my mouth. This is achieved by Haagen Dazs only through the use of fresh cream which was whipped in air into their ice cream. They travel the world for its quality ingredients, from Madagascan Vanilla to Belgian Chocolate and so on. Every step making the ice cream is to achieve that luxurious lingering taste, making Haagen Dazs moment truly anticipated like no other. Hi,just come across your blog. Beautifully done. Keep it up.